Get Your Sunday School Guide! Get your copy of the latest Sunday School guides. They make great devotionals, too. Download an order form from this website, fill it out and fax it to 876-908-3844; or call us at 876-906-2828 to place your order. Working since 1975, Caribbean Christian Publications is an agency of the Caribbean Baptist Fellowship. We produce Christian literature in English for Baptist and other evangelical churches in the region. You can be comfortable with our wide variety of materials including Sunday School books, pictures, tracts, music, Bible Teaching resources and more. We pride ourselves on the strong doctrinal foundation of our materials as they relate to the moral and social issues in the Caribbean. 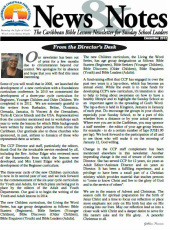 Click on the image to check out the latest issue of News & Notes, produced by Caribbean Christian Publications. 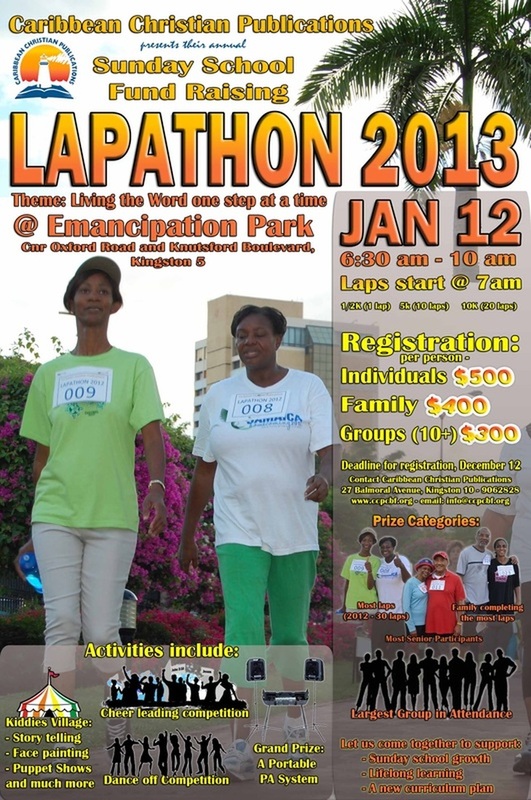 Would you and your church like to make a difference in the life of Caribbean people? 27 Balmoral Avenue, Kingston 10, Jamaica, W.I.